Don’t stress over things out of your control. The election will come and go. We will survive and adapt. If you find yourself obsessing over the news, limit your exposure to news outlets during the day. We can stay informed without damaging our own wellness. Do things that make you happy. Take a walk and kick around the leaves. Or, if you are near a beach, take walks in the sand. This will ground you and make you feel energized and happier. Avoid stress eating- Mindful eating is a big step in good health. Plan your meals and snacks. Try planning meals that you can make in advance and have on hand. I love crock pot meals and soups at this time of year. Homemade soups and comfort meals warms your tummy and your soul. Add lots of veggies and salad to all your meals for a healthy balance. Remember to eat in color! Take care of your health with routine monitoring. We are nearing the end of the year and it is time to make sure you have had an annual physical, wellness labs and general screening. I encourage people to also look into having a full body thermal imaging annually to note changes in imaging. This is a non-invasive screening and is usually not covered by insurance. However, it is an extremely informative tool, without any side effects and can track changes which you can then pursue with your doctor. In many instances, if we see more inflammation, we can make changes in diet and lifestyle and reverse the course before it becomes a medical diagnosis or crisis. Prevention is always the cure for diseases. Take time to meditate. Thinking happy thoughts and deep belly breathing is actually therapeutic. It moves you from a stress response to a relaxation response, which balances both in mind and body. Meditation also can help you sleep better. If you are new to meditation or you say “it doesn’t work for me”, I invite you to try it again by using guided meditation with music to help you get into the theta state of the brain , which is the most relaxing for mediation. I like CDs or downloads by Kelly Howell (www.brainsync.com). Sleep well. If you have trouble getting to sleep or staying asleep, you may want to inventory your sleep habits. Turn off the TV an hour before sleep time. Have a set schedule for sleep. Have lights dim in the room before bed. Avoid bright light from computer screens and other devices. Drink Chamomile tea before bed. Put lavender essential oil on the bottom of your feet. Meditate before bed. Our staff at D-Signed Nutrition can help you personalize your nutrition and lifestyle plan. 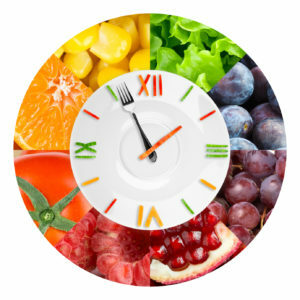 Our services include individual counseling, Medical Nutrition Therapy, body composition analysis, functional interpretation of conventional lab work, food sensitivity testing, medical care consultation, classes, workshops, walks with the nutritionist, essential oil consults, biofeedback, Bemer mat treatments. Call us for more information at 239-656-5249. Is Your Thyroid Sending The Right Message?